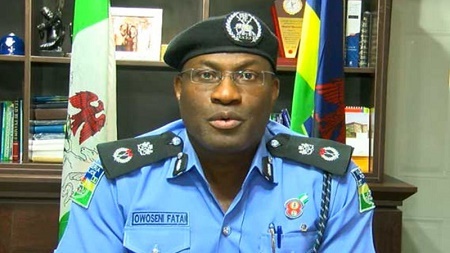 Earlier today we brought you reports that the brave policeman in the Owerri robbery video died in April, we also added that the Police Spokesperson, Mr. Andrew Enwerem, explained that two other policemen were in the security post during the shootout and also sustained gunshot injuries. It seems only one person survived, as shared by Ifeanyicy on Facebook, here are photos of the survivor of the ugly incident that has been making rounds online recently. Ifeanyi said he visited and interviewed the survivor mobil Police officer (Sgt. Muran Otu Attang), the wife of the late Police officer (Sgt. 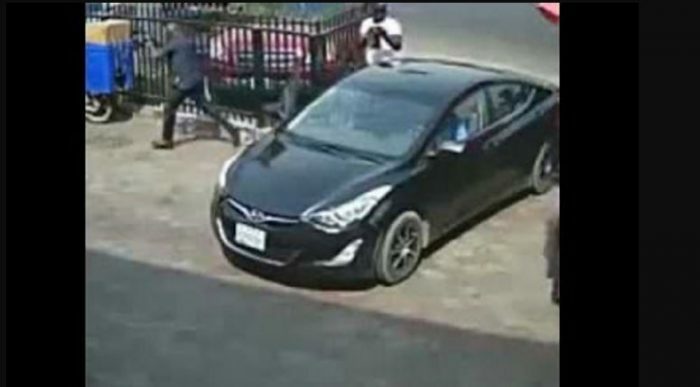 Chukwudi Iboko) that displayed bravery as seen by the CCTV footage and another mobile Police officer (Sgt. Sunday Agbo) w ho equally died a day after, precisely on 23rd of February, 2017. ‘Wait for an exclusive interview and details of all that transpired in a few minutes​ time. In all, three Mobil Police officers were involved; while two died a day after in the hospitals, the survivor discharged is in a terribly situation right now and needs the help from good spirited Nigerians. He lost one of his eyes, needs surgery to remove bullets stocked in his skulls and he equally sustained gun short Injury in the leg.